Ride the Fire at the Jalapeno 100. 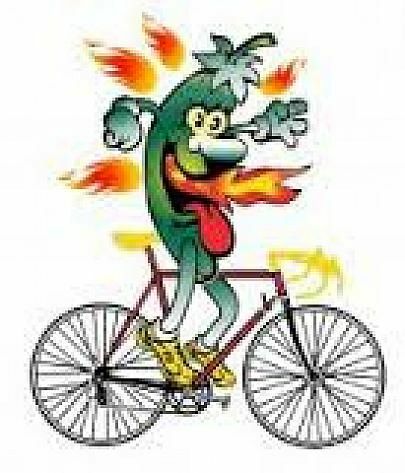 The Jalapeno 100 is a bike ride through Cameron County, Texas, and offers a choice of 5 routes (12, 25, 50, 62.5 & 100 miles). The first 500 riders to register receive a free Ride T-shirt and there is a post-ride celebration party with free dinner for all riders.